With only a few weeks left before the Galaxy S10 series is unveiled, we already have an abundant number of rumors that are spoiling the surprise. All of those, however, are no where near as revealing as this set of leaks. 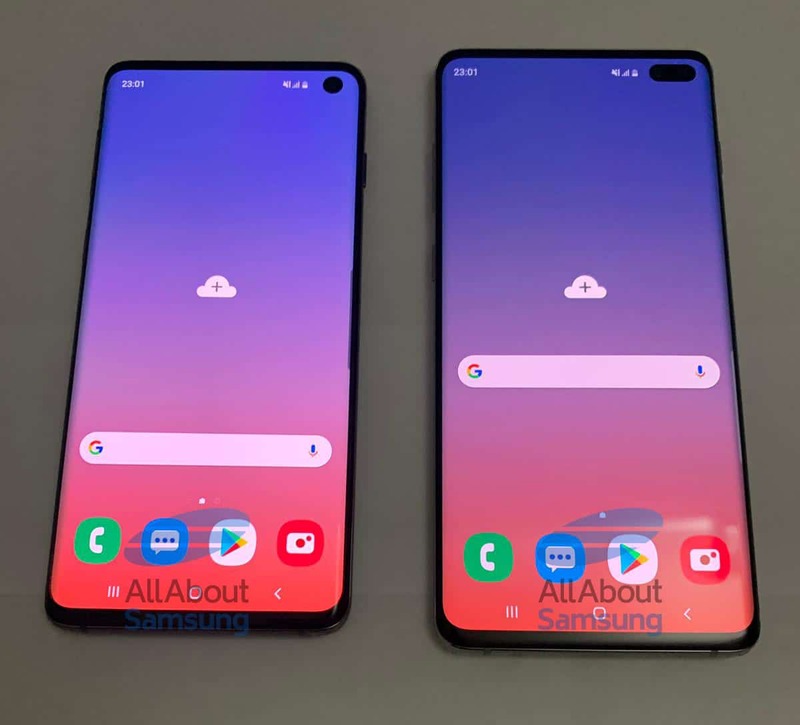 Published by AllAboutSamsung, real-world photos of the Galaxy S10 and higher-end Galaxy S10+ show the front, back, and bottom of the two flagship smartphones. Renders already gave us an idea of how they’d look, but these pictures help confirm a few features. First are the punch-hole camera placements. The Galaxy S10 has a single piece on the upper right, while the S10+ offers two shooters side-by-side on the same spot. Samsung calls this implementation Infinity-O, but we fail to see how the oblong of the latter counts in this case. Assuming these are legit, it looks like Samsung is also applying a fresh skin to its Android interface and leaving minimal bezels around the curved AMOLED display. The top-bar icons seem off though, with the battery and signal icons pushed so far toward the center, especially on the Galaxy S10+. This photo of their rear confirms that these two models will indeed come with triple-camera setups and retain the heart-rate sensor — a staple on Samsung flagships for several years now. Previous leaks suggest that the cheaper Galaxy S10E will settle for only two rear cameras. In addition, it appears that the dedicated Bixby button is still present beneath the volume rocker. It’s not yet known if this will be customizable for users like on other phones with separate virtual assistant buttons. 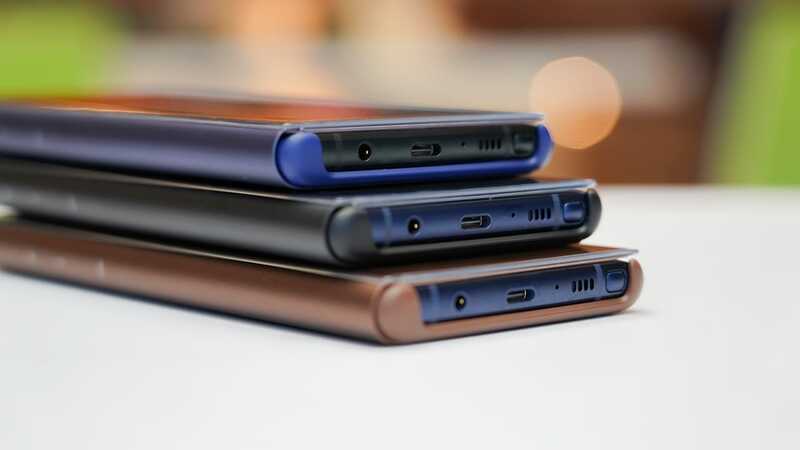 Finally, we answer the question everyone’s been asking: Yes, the Galaxy S10 series will retain the 3.5mm audio port. As shown above, it’ll be placed beside the USB-C port and bottom-firing speaker like on previous Galaxy flagships. Samsung is set to unveil these two models, along with a more budget-friendly Galaxy S10E, at its Unpacked event in San Francisco on February 20. It’s rumored that the company will include a special 5G variant with even better specs in the lineup, though that model has been a better-kept secret. If plans push through, we may also see the foldable Galaxy phone Samsung has been teasing for so long. 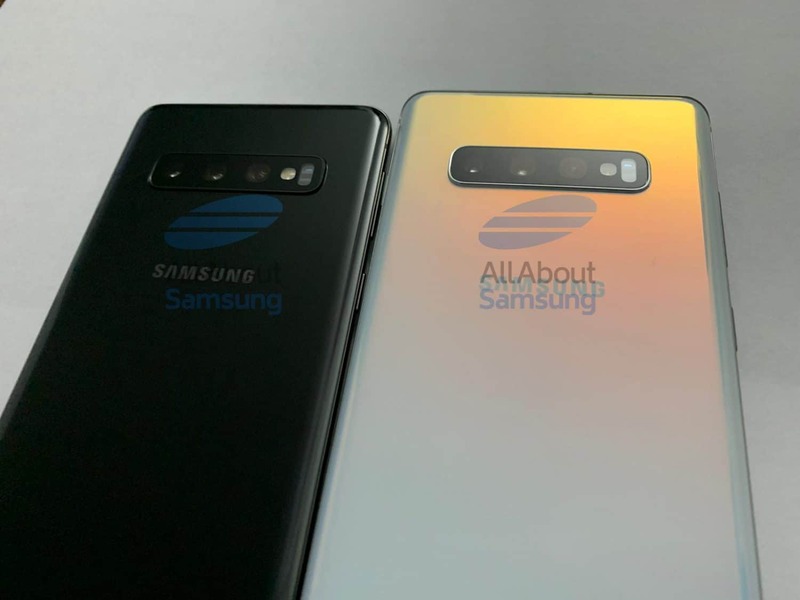 It was first shown off in November during a developer conference; a recent billboard suggests that it may be part of the Galaxy S10’s event.